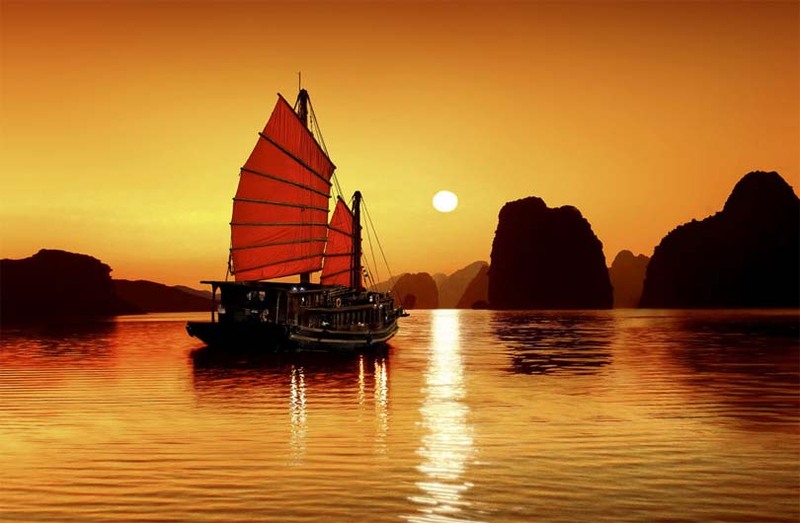 Discover Vietnam’s treasure trove of historic monuments, vibrant cities, pristine landscapes and colourful culture. Travel from the south to the north, taking in the main sites and connecting with the locals. This compact Vietnam holiday highlights the best the country has to offer. Upon arrival to Ho Chi Minh City, our guide and driver will be waiting to provide transport to the hotel for check in. Enjoy the remainder of the day free at leisure. 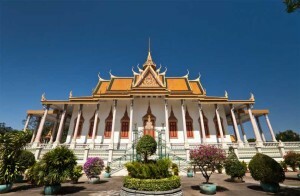 Depart from the hotel for a full day Ho Chi Minh City tour. Begin the day with a visit to Cholon, the Chinatown district, to discover the area’s markets, shops, and the Cantonese Thien Hau Pagoda. Visit Vietnam’s first traditional medicine museum, the FITO Museum, with an amazing collection of 3,000 items relevant to the development of traditional Vietnamese medicine. Implements used to prepare indigenous herbs, and objects commonly found in traditional pharmacies can be seen in the galleries as well as ancient books and documents on traditional Vietnamese medicine. Head back to the city centre to visit Ben Thanh Market where an incredible display of fresh produce is offered. Enjoy a stroll through the market exploring the variety of goods for sale. This afternoon, visit the War Remnants or History Museum (up to personal preference) and the former Presidential Palace. 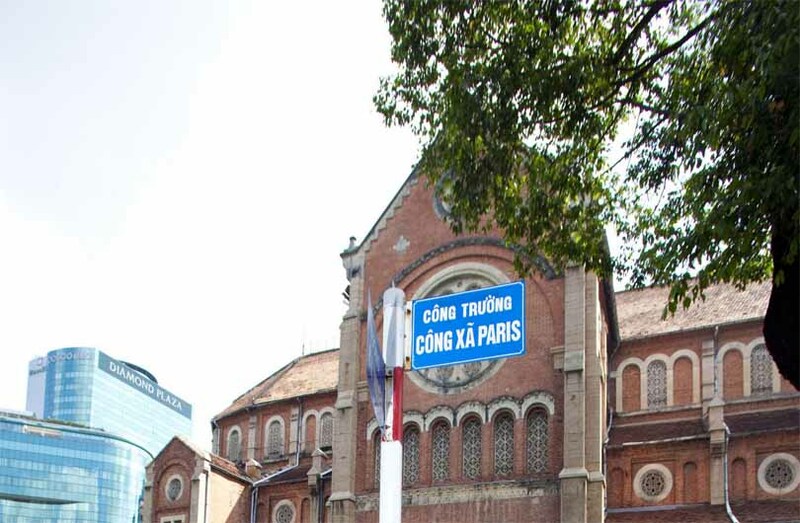 From the Palace, stroll to the major sights of colonial Ho Chi Minh City: the Old Saigon Post Office, Dong Khoi Street (formerly Rue Catinat), Continental Hotel, Opera House and City Hall (your vehicle will be available at all times). At the end of the afternoon head back to the hotel. This morning, leave bustling Ho Chi Minh for the 2 hour drive to the Delta town of Cai Be. Upon arrival, board a local vessel for the day’s cruise in the Delta’s waterways. Start the journey by passing by Cai Be’s floating market, once a busy place to trade fruits and vegetables and nowadays a more quiet market. Continue to a cottage factory where ‘pop-rice’, rice paper and coconut candies are made. Return to the boat for the cruise to Dong Hoa Hiep Island. 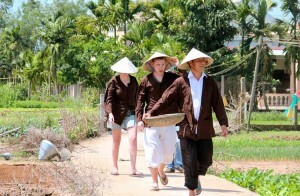 En route, admire the scenery and the daily life of the local villagers. Lunch will be served in the local Mekong style with specialties of the area. Following the cruise drive back to Ho Chi Minh City. After breakfast transfer to Tan Son Nhat Airport for the short flight to the central port city of Da Nang. On arrival in Da Nang, our guide and driver will be waiting to provide transport to Hoi An, a major Asian trading port in the 17th and 18th centuries. 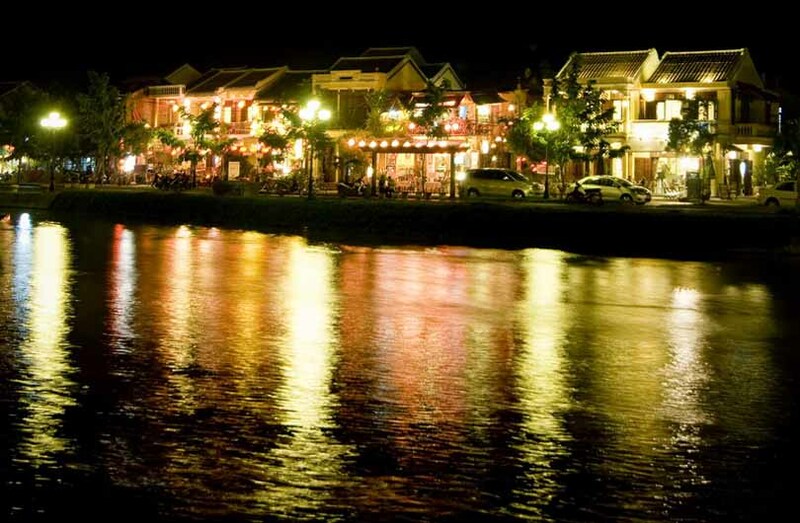 Upon arrival to Hoi An, embark on a walking tour of the ancient town centre to visit the former merchants’ homes, the 400 year-old Japanese Covered Bridge and the colorful market. 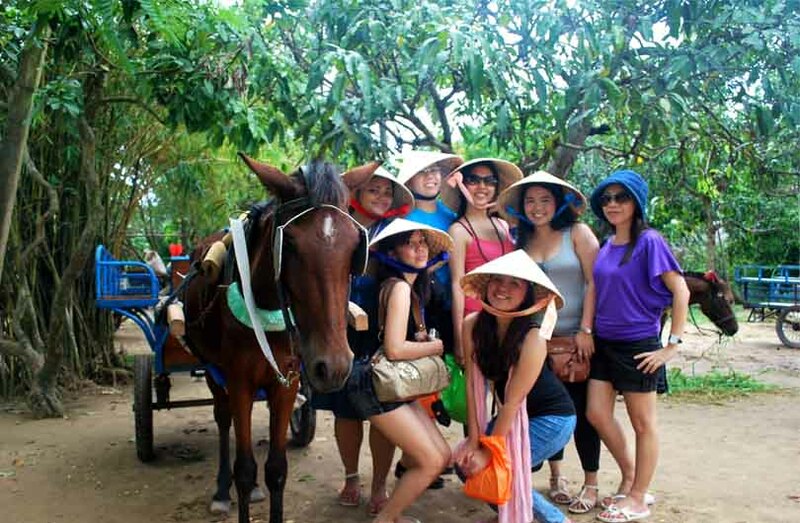 After breakfast at the hotel, depart Hoi An for Hue, the former imperial capital of Vietnam. Its mesmerizing tombs and mausoleums of the last emperors of Vietnam reveal fascinating insights into the lives of the imperial families and their subjects. The ancient citadel reflects the pomp and ceremony of the dynastic rulers as well as the scars of many years of turmoil, both ancient and modern. The Royal Citadel was badly damaged in the latter stages of the war but retains a sense of grace and majesty even today. Driving through Da Nang, stop for a visit to the Cham Museum, which contains the finest collection of Cham sculptures in the world. Continue the drive climbing over the Pass of Ocean Clouds and dropping down to the wonderfully photogenic fishing village of Lang Co. After a break in Lang Co, continue the drive one hour to reach Hue. Upon arrival to Hue, begin a half-day tour of the former imperial capital. Begin at the Imperial Citadel where the Nguyen Dynasty ruled between 1802 and 1945. After exploring the ruins of this wonderful monument, depart for Thien Mu Pagoda overlooking the Perfume River. Constructed in 1601, a 21-meter tower is the centerpiece of the pagoda and represents seven reincarnations of Buddha. On the pagoda grounds is the famous Austin car a resident monk drove to Saigon in 1963 to protest against the southern regime. The photo of his self-immolation is one of the most well-known images of the war. After the tour, enjoy the remainder of the day free at leisure. Start the day with a visit to the city’s vibrant Dong Ba Market to see its abundance of fresh produce. 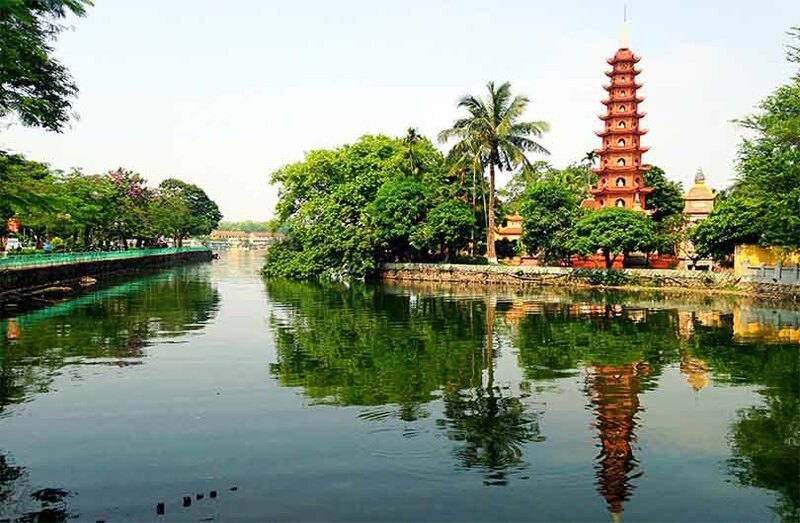 After exploring the market take a cyclo through the ‘Old City’ to Tinh Tam Lake where the Emperors used to relax. The lake is full of lotus flowers in summer and is surrounded by local style coffee shops, a favorite local spot to pass the time. Continue with a visit to the former emperor Minh Mang’s tomb, located in a tranquil setting of gardens and ponds. Next, pay a visit to Khai Dinh’s Tomb, designed in traditional Vietnamese style with a European touch making it unique from the other tombs in Hue. 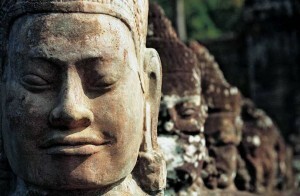 After the day’s explorations, a 30-minute transfer will be provided to the airport for the flight north to Hanoi. Upon arrival, our guide and driver will be waiting to provide transport to the hotel for check in. Following breakfast, depart Hanoi for the 3hr 30mins drive to Halong Bay. Upon arrival to Halong City’s pier (around noon), continue with check in formalities and board the vessel. After a welcome onboard, lunch will be served while cruising into the bay. In the afternoon, enjoy sightseeing, on-board activities (depending on each boat’s itinerary) or just spend some time relaxing on board. Towards the end of the day the boat sets anchor for the night among the karst formations. Dinner is served on board. Early risers can enjoy a memorable sunrise over the karst formations of Halong. After sunrise, breakfast will be served (brunch on some boats) while the junk cruises back towards the port through more limestone formations. Upon arrival to port, disembark and meet the guide and driver who will provide transport back to Hanoi. After check-in at the hotel, embark on a tour of Hanoi’s Old Quarter. Take a walking tour through charming Hang Be Market and around Hoan Kiem Lake, a bustling area home to literally thousands of small businesses and shops. If time permits, finish the day with a Water Puppet show. This is a uniquely north Vietnamese art form depicting scenes from rural life and episodes of national history. After breakfast, depart from the hotel for a visit to the Temple of Literature, Vietnam’s first university. Founded in 1076, Quoc Tu Giam was established within a temple to educate Vietnam’s royalty, mandarins and members of the elite. The university functioned for an incredible 700 years and its gardens and well-preserved architecture offer a fascinating glimpse into Vietnam’s past. 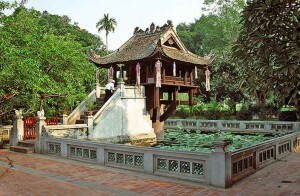 If time permits, continue to picturesque West Lake and the sixth century Tran Quoc Buddhist Pagoda. From here transfer (or stroll along the lakeside) 700 meters to the nearby Taoist temple of Quan Thanh dedicated to Tran Vu, one of the principal deities in Taoism. 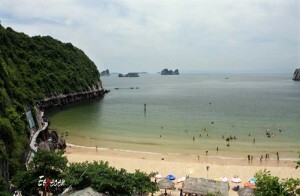 The remainder of the day is at leisure until transport (provided) to Noi Bai Airport for the departing flight.